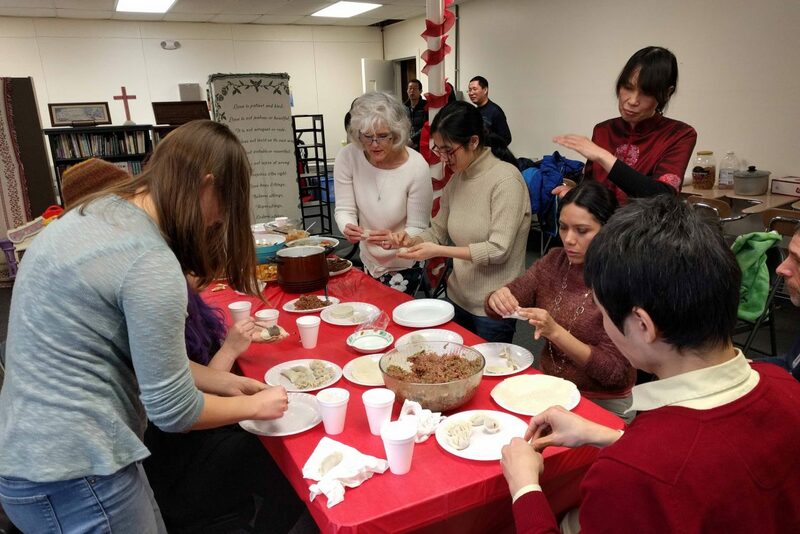 Agape Community Church celebrated the Lunar New Year (Chinese New Year) on Sunday, Jan 29th. There was a bilingual worship service at 10:45 am in the morning. After the service, they had new year meal — home made, traditional Chinese food and made plenty of dumplings.